EXILE's MATSU & KENCHI to appear in upcoming drama, "Rokudenashi BLUES"! Two performers from popular group EXILE, MATSU and KENCHI, will be joining in NTV's upcoming late-night drama, "Rokudenashi BLUES", which will start on July 6th. As tokyohive reported previously, "Rokudenashi BLUES" is based on Morita Masanori's manga which was serialized in "Weekly Shonen Jump" from 1988 ~ 1997, and the main character, "Maeda Taison", will be played by Aoyagi Sho, who is a member of Gekidan EXILE Hanagumi. MATSU's role will be the teacher of "Maeda Taison", while KENCHI will be playing "Maeda Fujio", the older brother of "Maeda Taison." 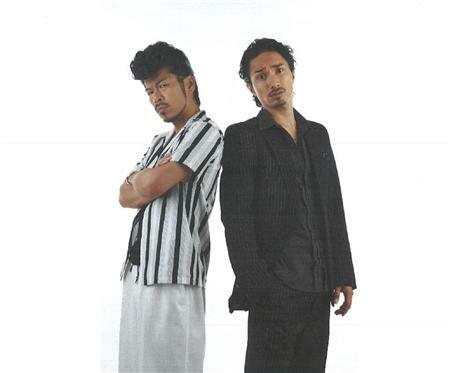 It was also announced that�J Soul Brothers will sing the theme song for the drama. C-ute's Suzuki Airi announces that she...has an announcement? Which young actress gets along well with children?